This Haitian roots/folk/jazz quartet features a blend of originals, modern arrangements of traditional Haitian vodou/folkloric music, and jazz standards. Reaffirming and celebrating the Afro-Caribbean roots of jazz and music of the “Americas,” 4 celebrated musicians from the Haitian music community, also fluent in the language of jazz and folk music, bring you a fun night of hoppin/rockin’ music at Erv’s, 2122 Beekman Place, right off Flatbush Ave. 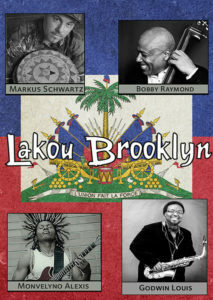 Check out their sound here: www.lakoubrooklyn.com. Born in Copenhagen Denmark, Markus Schwartz grew up in an American household surrounded by jazz and has devoted more than 25 years to learning the wealth and complexity of traditional Haitian religious music. A first-call percussionist on the NYC Haitian music scene, Markus performs and records with a diverse array of artists across many genres. 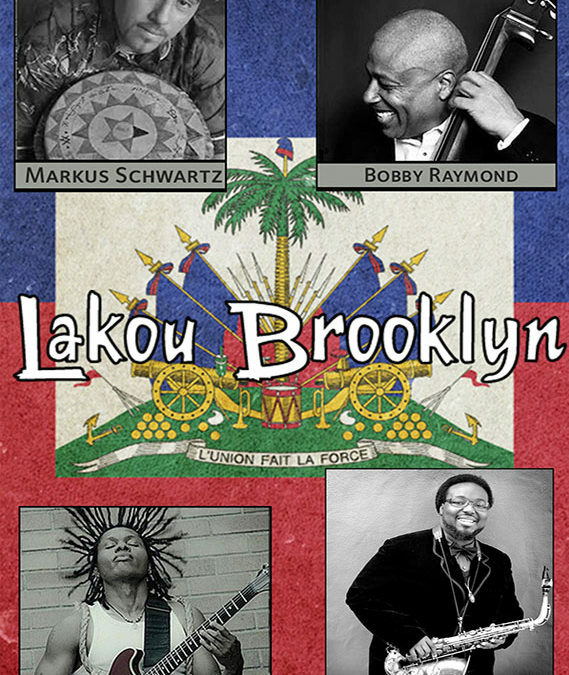 With an extensive discography as a featured artist, Markus has also released 3 recordings as a leader: Tanbou nan Lakou Brooklyn (2008), Equinox (2011), and Vo-Duo Nou La w/Monvelyno Alexis (2013). Current projects include his own band, Lakou Brooklyn, as well as membership in Grammy-winning saxophonist David Sanchez’s Carib project and We All Break, led by the iconic drummer Ches Smith with pianist Matt Mitchell and Haitian master drummer Daniel Brevil. Fine Vietnamese food prepared by Quynh. It’s delicious!